Today we launched the all new High Peaks Pure Earth! 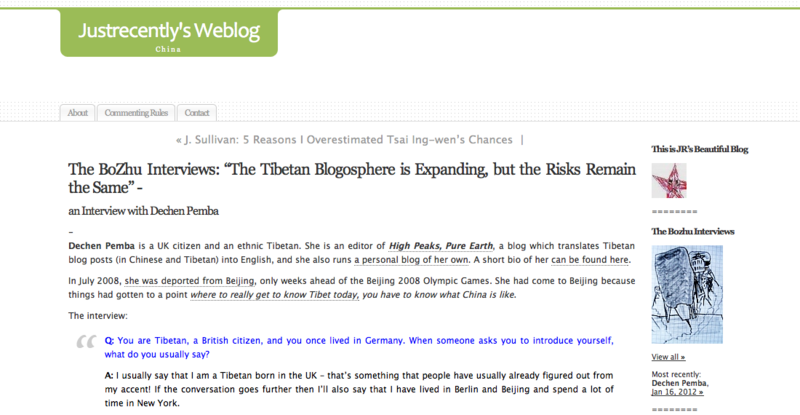 It’s long been a goal to revamp the site and also to make it trilingual in English, Tibetan and Chinese. Ultimately I’d like to see all posts in all three languages and I’m working hard to make it happen! I know some friends were saying they missed the old logo so they can go and look at it over there! There’s still a lot of work to be done on the new site but for now it’s finally up and I’m happy! A blogmaster (博主, bózhǔ) is just a blogmaster (博客的主人, bókè de zhǔrén), explains the Baidu Encyclopedia (百度百科). 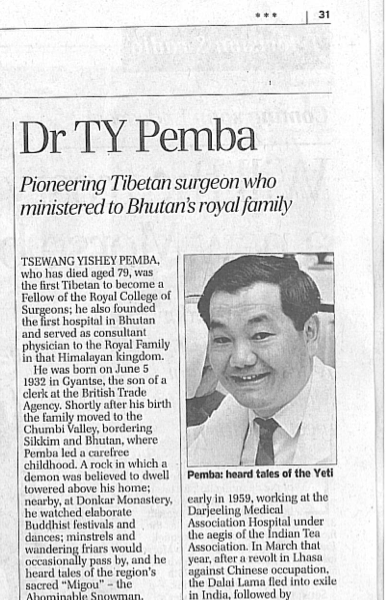 The Times published a full page obituary of my late Uncle Dr Pemba today. Saturday will mark the 49th day of his passing, there will be a prayer ceremony all day in Darjeeling where many of our close relatives are gathered. 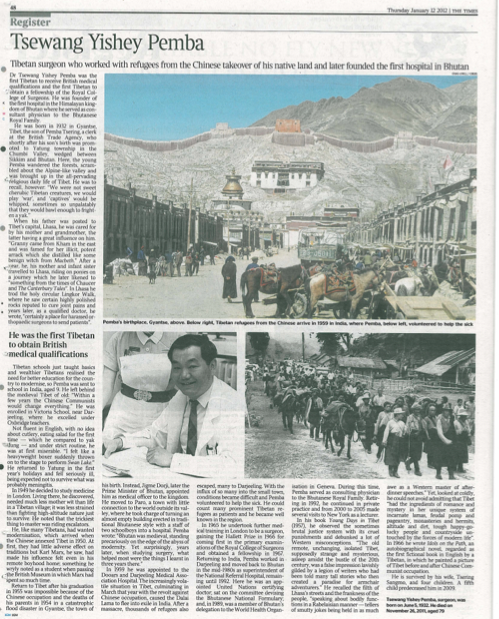 Despite the sad end to last year and start to this one, it means a lot to my family that an obituary for my late Uncle Dr Pemba was published in the Daily Telegraph in the UK on December 28, 2011.